1. Spray a muffin tin (that holds 6 large muffins) well with cooking spray. 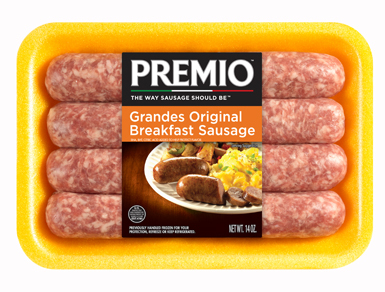 Place Premio Sausage onto grill and grill until done, according to package directions. Remove and chop into crumbly pieces. Divide the sausage equally into each space in the muffin tin. 2. 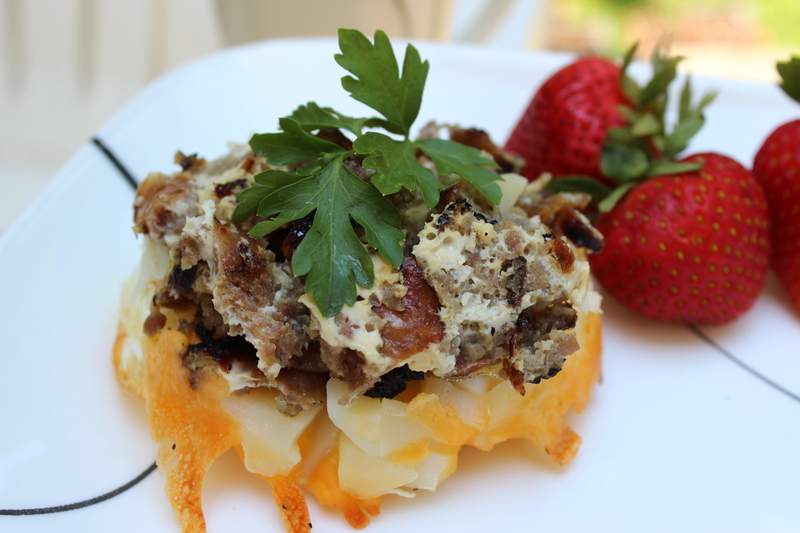 Place 1/4 cup shredded hash browns on top of sausage in each space in muffin tin. Top each muffin space with one egg, salt and pepper, and top with remaining cheddar cheese. Place onto grill, over medium heat, and grill for approximately 30-40 minutes (grill should be at 250 degrees (F)). Remove, plate and enjoy!